Mexico entry requirements are pretty much the same for United States citizens and Canadian citizens travelling to México as tourists. You only need to present a valid passport and complete the correct entry forms (Migratory Form for Foreign Tourists, Transmigrants, Business Visitors or Councillor Visitors). The Mexico entry forms are generally available at travel agencies, airline offices, and at all entry points into Mexico. Mexico entry requirements for international visitors from other countries are a little different. International visitors from any country other than Canada and the U.S.A. must obtain a visa in order to enter México, which they may obtain by contacting a Mexican Consulate in their country. In order to grant a visa, the Mexican consulate will require a passport, proof of sufficient economic means for the duration of their stay, and proof of payment for the processing fee. International tourists may stay in México for up to 180 days. When they enter Mexico by air, the processing fee payment (approximately $22 USD) is included in the price of the airplane ticket. When entering Mexico by land, the processing fee must be paid during your stay and validated upon your departure. International tourists that enter by land and stay less than seven days in México do not need to pay for processing. The government of Mexico requires current proof of citizenship, a photo ID, and a valid passport for entry into Mexico. or you might be denied entry into Mexico, even for shorter visits! You will need an FMT (Mexican Visitor’s Permit), which is valid for up to 6 months. If arriving by plane, you will be provided with one to fill out before departing the plane. 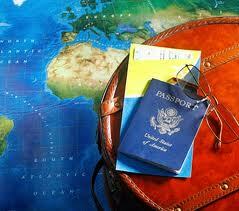 It is very important to keep your Tourist Permit in a safe place – you will need it in order to leave the country. If lost, you need to apply for an exit permit (about $40 USD) and you might miss your flight! You will also be required to fill out a customs declarations form. Please email info@rivieranayarit.com or call us at 1-800-960-5917 if you still have questions about Mexico entry requirements.